Replacing a worn out Shower Head is very easy and at Byretech we have a great range of replacement Shower Heads to choose from. We do try very hard to bring you the best and widest possible selection of quality replacement Shower Heads and Hoses available on-line today. Plus t make it easy for you, its possible to search by what type of water heating system you have just to narrow the choice a little. 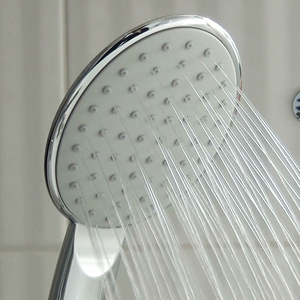 Most of the established shower head manufacturers want you to buy one of their products and that's perfectly understandable, but these replacement heads and hoses cost a fraction of the price and perform just as well as the manufacturers own products. That means saving you money on a new shower head! So, if you try one and it and it doesn't perform, you can always drop it back to us within the 30 day period for a full refund. It's a real win win situation for you ! Or simply give us a call on 01527 522 522 and Steve our Shower Head Guru will be happy to help and advise you.